The original Troubleshooter TV programme with the delightful Sir John Harvey-Jones had a great formula: an experienced business leader visits and advises small and often struggling UK businesses. It made business management a popular discussion subject. Using a reality TV format it led the way for future TV series such as The Apprentice and Dragons’ Den. The programme follows a great format. 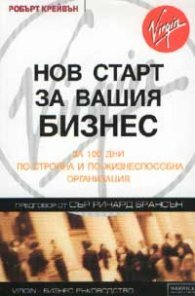 Present the people, the business and the issues. Introduce the business expert and watch how his attempts to improve the business performance pan out. I have met several of the Troubleshooter ‘victims’ and you get an insight into business process and the filming process. Harvey-Jones was not, and is not, the only business troubleshooter. Some time ago, Cranfield School of Management’s Colin Barrow said that I, Robert Craven am “the closest thing that growing businesses have to a modern-day John Harvey-Jones." JHJ was one of a kind and I was hugely flattered to be compared with him! I have worked with the likes of Barclays and BlackBerry and been asked to help businesses everywhere from Tehran and Zambia to Cyprus and Russia. Whether on TV or in someone’s business, the troubleshooter role is the same. It is about asking the fundamental questions: “Where are you now, where are you going, how are you going to get there? What are the key issues in the industry, the marketplace and for your competitors?” The cunning bit is coming up with workable solutions that are appropriate for the business and its owners. Well, both troubleshooters are back. 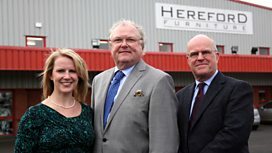 There is a new TV series (with Digby Jones) and I am back in the SouthWest ready to help local businesses. I am offering to work with local businesses in clinics and healthchecks to identify key issues and how they can be solved.